Business cards, Posters and Stationary: cmyk colour print process. Full colour front and mono back print available. 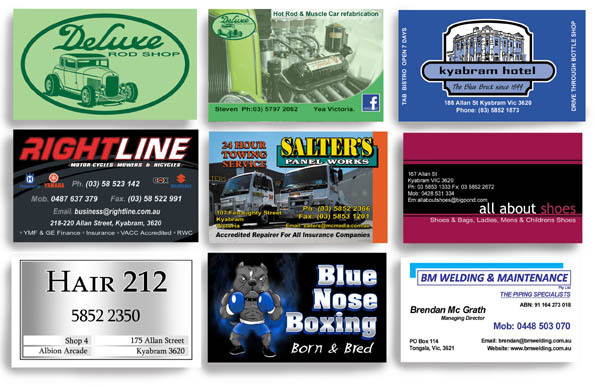 Glossy or matt finish to cards. 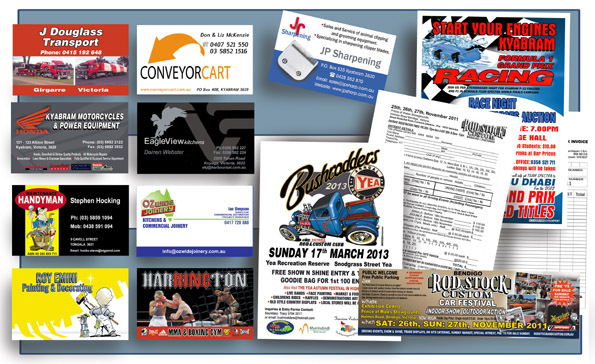 Reproduced to your requirements using Your Artwork or let us Create something Special that stands out.